Have you ever felt the pressing necessity of capturing your pc’s screen? I suffered this problem untill i followed a friend’s suggestion: installing Quick Screen Capture (first picture, site 1 & 2 are the same). I won’t spend time in explanations because it’s a so simple and intuitive software that they’d be unuseful. R aise your hand if you don’t have and mp3 player, or an iphone or ipod. 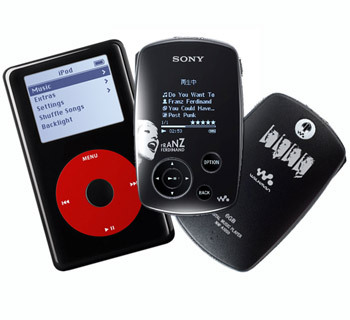 We’re surrounded by music devices and by music tracks: wav, mp3, wma, flac, mid, mp4, 3gp and others. A software like XreCode will help you convert your music files from nearly any of the formats to any other. This SW works only on Widows. This is a very funny and addicting game. You have to create a haul and transport for a short track some nitro boxes, without making them explode. The final score is calculated on the time it took you and on the number of boxes which didn’t explode by the way. Roll to you adventure.Not only the vertigo and the traps, time too will be against you! Do you prefer to run without deviations to the goal or to collect all the points along the way? Your force origins from Newton’s second law Mass x Acceleration. Gain or lose weight as you wish or as the necessity dictate. Nowadays everyone has a chat-software.It’s one of the most used and useful program in a pc. Since some months ago i’ve been using one of the most famous chat-softwares: Messenger. It’s not a bad one. You can even call a friend or use web-cams. The funniest thing was the interminable choice of emoticons. Then something happened: i found a better one! Its name is Skype. It’s a freeware software created to marry two different necessieties: chatting and calling from your pc, at the same time. The first one was solved in a simple way. Skype is an ordinary chat-software. 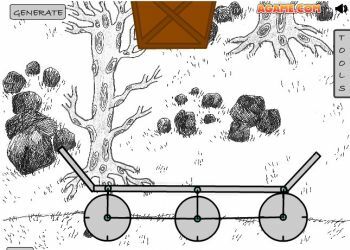 The graphical simplicity (no animoticons, no colorful words) allows to work very fast without problems of lag. Your eyes are literally cuddled by its relaxing but standard aspect. The solution to the second problem is simply genius. This software can work in two different modalities: Skype or SkypeOUT. The first one is a peer-to-peer connection between pcs that allows the user to call another skype-memeber complitely free. The quality is amazing, latency is only a mirage and it’s used a full-duplex system. There are even some curious tools: you can share the imagine of your desktop in real-time and the call can be shared by more people at the same time (12 if my memory is good). 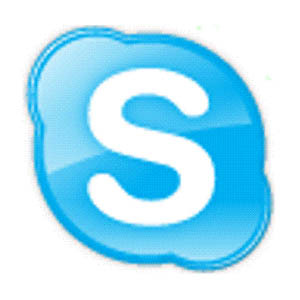 SkypeOut is a pre-payed service. First of all you have to buy some credit using your credit-card then Skype can be used to call phones or mobile-phones. This service isn’t as a good as the previous one, especially reguarding mobile-ones. It’s a half-duplex and latency has acceptable levels. Costs are low so that SkypeOut is a really valid alternative to normal phone-companies. Installing this software and becoming a user require only 2 minutes. Skype is waiting for you. 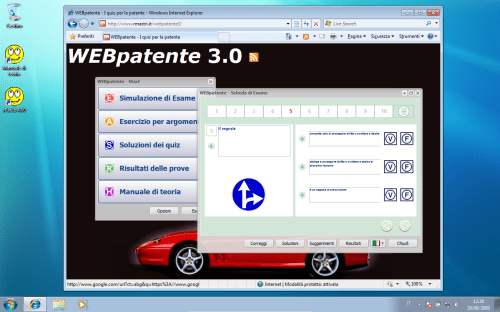 I’m currently having lessons to obtain the italian driving licence, and find useful these sites I’ve found on the net. It avoids me to spend 10 euros on a quiz book. And you from others countries? Comment and submit online driving tests you’ve found. The first version of Blender is dated 1995, when Ton Roosendaal rewrote some of the softwares he was working with in NeoGeo. Three years later he created a society, NaN (not a number) and released Blender as freeware. When this society failed he hailed a donation campaign and then made Blender opensource. This has made Blender grown in an unpredictable way, bringing it in the position to stand with the most famous and costly 3D softwares. If you are interested in Blender’s amazing history, read it on the wiki user manual. So what can you do with Blender? You can model, sculpt, texturize, animate, and even make games. 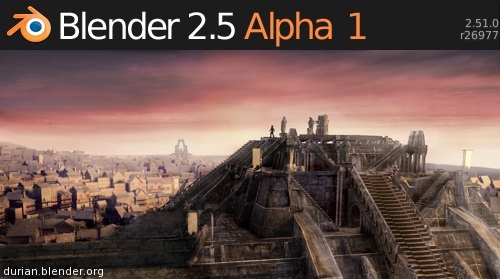 Blender is probably the leading software in the open source world. This is the current spash screen of the 2.5 version, under development.